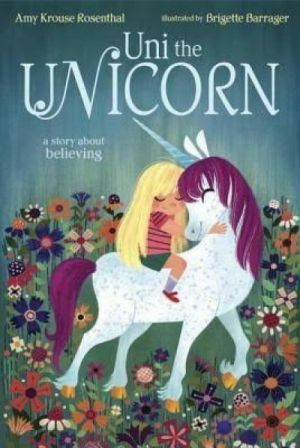 We got a peek at the Unicorn Frapp from Starbucks this week and of course my mind went right to Unicorn books. Most of these picks were borrowed from our local library, but the Narwhal easy reader was nabbed at our downtown bookstore. The first three are perfect for sharing at bedtime or a read aloud. 1. Unicorn Thinks He’s Pretty Great by Bob Shea is probably the most eye catching Unicorn book I’ve ever seen. I ordered multiple copies for the library. They were always out. (Bob Shea’s wonderful, by the way. Check out his Ballet Cat Easy Readers if you haven’t yet!) This is your typical “Oh, I wish I was different and more like [insert shiny character here]” book about Goat who really wishes he could be more like Unicorn. Of course, we learn Goat is pretty great after all and it works so perfectly to teach little ones that being YOU is really the best after all. 2. 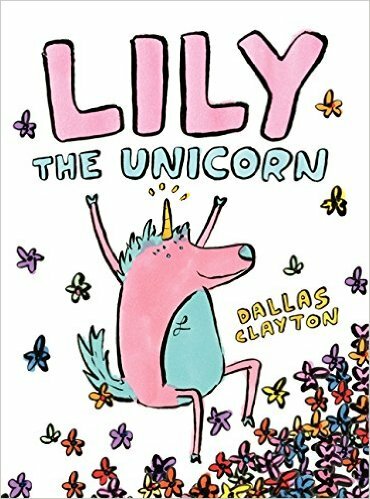 In Lily the Unicorn by Dallas Clayton, Lily meets a new penguin friend. Adorable illustrations; The kind that make you want to run out and buy all of the blank, new sketchbooks and the swank art supplies… ANYWAY, Roger the Penguin and Lily are complete opposites and learn that being different does not mean you can’t be friends. In fact, you’ll probably make the best friends. I have my eye on this cute little title for introducing venn diagrams and character traits, to my little lady. Perfect! 3. Is there anything Amy Krouse Rosenthal can’t write well? I haven’t found it yet. In Uni the Unicorn, you’re transported to a world where unicorns are real and little girls are thought to be just make believe! This is the kind of cute little twist that even the littlest listeners pick up on and find hysterical. Good for a little lesson on main idea or inference. 4. I’ve saved the best for last. Easy Readers are MY THING. Older kids still love to read them and really get the humor now. The littles get to search out sight words (we use wikki stix to circle them on the pages). Parents and teachers get a perfect < ten minute read aloud. Win, Win, WIN. Narwhal: Unicorn of the Sea by Ben Clanton is just. so. darn. funny. AND it has a #1 right there on the cover. See it? That means there’s going to be #2, and #3… Sweet. Take a peek at the cuteness.